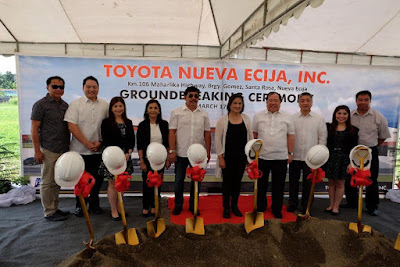 Last March marked the beginning of the construction of Toyota Nueva Ecija, the newest showroom location for the number one car brand in the country. 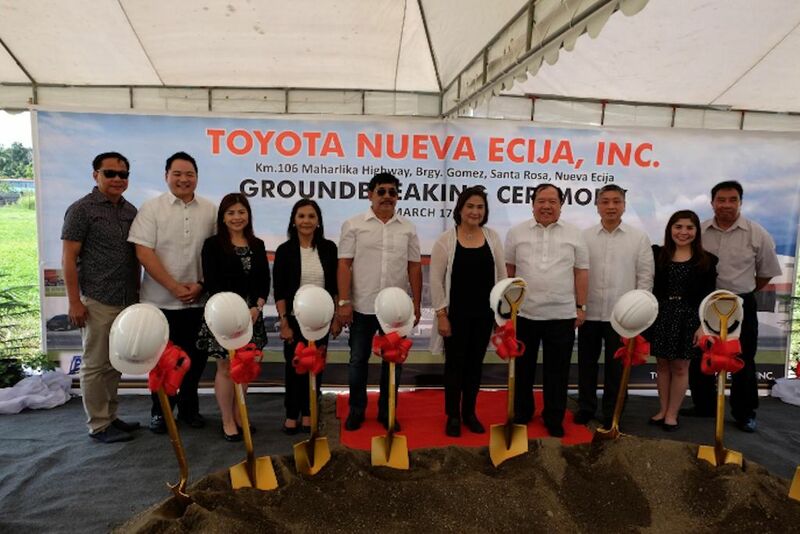 Located along Maharlika Highway, Toyota Nueva Ecija will be the biggest car dealership in the province. It will have a lot size close to 17,000 square-meters and can house 15 cars in its showroom. Aside from sales, in line with the brand’s plans of making its products and services more accessible to customers, Toyota Nueva Ecija will also a one-stop shop for parts availability and vehicle servicing for the convenience of people who reside or work in nearby areas. The dealership is expected to hold its inauguration within the second quarter of 2018. The ceremony was attended by Hon. Josefino M. Angeles, Former Municipal Mayor, Santa Rosa, Nueva Ecija; Mr. Marc Carlo L. Turla, Member of the Board Toyota Nueva Ecija; Ms. Mary Evangeline F. Tan, Member of the Board Toyota Nueva Ecija, Inc.; Ms. Evangeline F. Tan, Member of the Board, Toyota Nueva Ecija, Inc.; Hon. Eliseo DG. Angeles, Municipal Vice Mayor, Santa Rosa, Nueva Ecija; Hon. Marita C. Angeles, Municipal Mayor, Santa Rosa, Nueva Ecija; Mr. Jose B. Tan, President, Toyota Nueva Ecija, Inc.; Mr. Jose Maria M. Atienza, Senior Vice President, Marketing Division, Toyota Motor Philippines; Dr. Katherine Ivy F. Tan, Treasurer, Toyota Nueva Ecija, Inc.; Arch. Benjamin B. Limjoco, Jr., Architect / Designer. The Second Dealership in Nueva Ecija. Toyota Santa Rosa Nueva Ecija Second Branch.